Known for its commitment to urban ministry and diverse student body, NYTS was founded in 1900 and by 1902 was known as the Biblical Seminary in New York, adopting its current name in 1966. NYTS prides itself on its diverse and inclusive community coupled with its engagement with the biblical witness. NYTS is unique in that the school itself owns no property and has no central location. 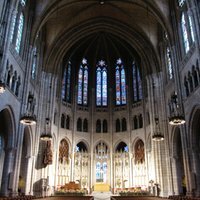 Classes are held in the historic Riverside church with administrative offices located in the NY-based Interchurch Center. Among its many distinct offerings its is MPS program, offered exclusively to inmates at Sing Sing correctional facility. NYTS offers several master's level degree programs in addition to the Doctor of Ministry (DMin). These programs include the MDiv, MA in Pastoral Care and Counseling (MAPCC), Master of Arts in Religious Education (MARE), Master of Arts in Religious Leadership and Administration (MARLA), Master of Arts in Youth Ministry (MAYM), and Master of Professional Studies (MPS) (offered only in the Sing Sing correctional facility). Certificate programs are also available in Christian Ministry and Islamic Studies. Located in the heart of New York City in the borough of Manhattan, NYTS students have access to some of the world's most coveted attractions in the world of art, music, sports, and cuisine. From the Metropolitan Museum of Art to the New York Yankees (or Mets, depending on your preference), this is certainly the "city that never sleeps." Of course, given the seminary's location (Riverside Church and the surrounding area) there is no shortage of real-world ministry opportunities. Students live and work in the city, unsheltered from the world itself. Indeed, the NYTS catalog maintains the "city as its primary campus." As part of its emphasis on practical ministry experience, the seminary sponsors several centers that focus on various areas of ministry. These include the Center for the Study and Practice of Urban Religion (CSPUR), Center for World Christianity, Eleanor Moody-Shepherd Resource Center for Women in Ministry, Center for Pentecostal Leadership at NYTS, and the Micah Institute. Since NYTS does not own property, there is no dedicated housing for NYTS seminary students, nor does the seminary offer assistance in finding students housing. NYTS offers financial aid in the form of need-based grants though some merit-based scholarships are available. 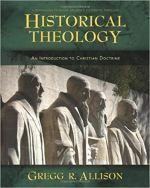 The seminary also participates in the federal direct student loan program.